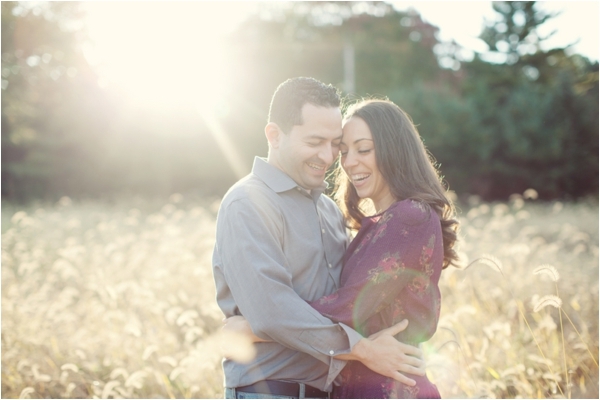 Oh, how I just adore engagement sessions that take place outdoors. 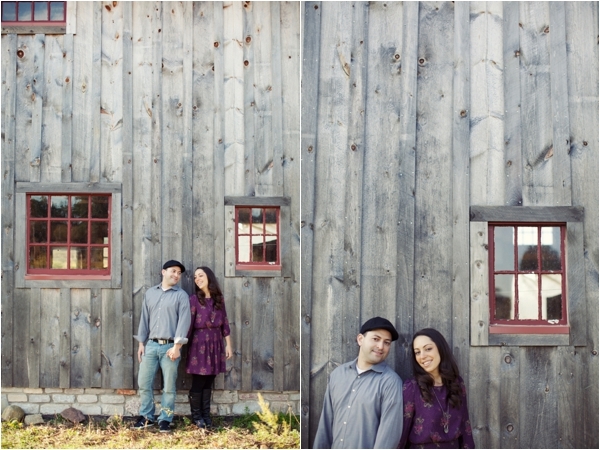 This lovely engagement session was photographed by Jenelle Kappe Photography. So pretty! From Jenelle: It was a beautiful morning. It's not often that a couple will agree to an early morning shoot, but I love it when they do. The location was perfectly gorgeous and serene. Tara and JC, the couple, have a love for one another that is easy to see and an absolute pleasure to capture! 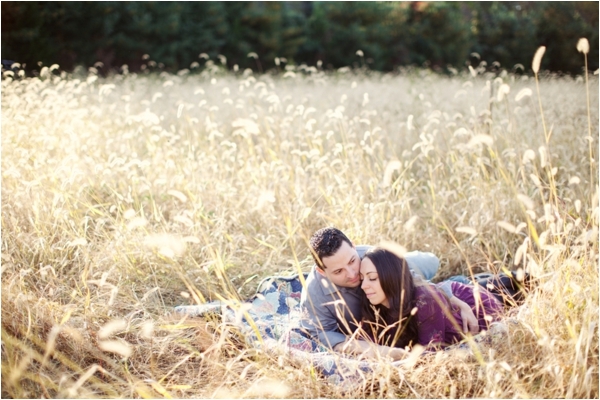 I love this engagement session for its simplicity. No extras no props. Just a fabulous sun-drenched morning with a lovestruck couple. How they met: We met on Match.com! I was living in Brooklyn and he was in New Jersey, just across the river. He used to drive in to take me out and we just meshed so well. After a couple months of dating, I took a job in central Pennsylvania. We hadn't been dating very long so I wasn't sure if it would be the end of us. But I really didn't want to let it go, so I asked him if he would stick it out with me and he said he would. So for about 6 months, every other weekend, one of us would drive 2 1/2 hours to be with each other. It was really hard and not how many people start their relationship, but it was a good test for us, and a testament to the crazy things you do for love! Eventually, I grew to really hate being there and moved back to New Jersey with him. The following summer, he proposed! The proposal: It was so special for me but also pretty funny! He knows how close I am with my family and he decided to propose during a vacation with my family at the beach. He had called my parents months before to ask them for my hand and to tell them his plans so they were all aware of what was going to happen! But JC travels for work often and the week leading up to our vacation he had to fly to North Carolina. I had planned to pick him up from the airport and we were going to drive down to the beach right from there. He didn't want to fly the ring to North Carolina with him but needed to make sure it got to the beach so he hid it in my car! I was driving around for days with the engagement ring hidden in the spare tire compartment in the trunk without every knowing it! It's still hilarious to think about that. There's a beautiful restaurant in Ocean City, Maryland (where we vacation) called Macky's where the tables are set up in the sand next to the water and the sunsets are magnificent. We always go there for dinner at least once a vacation and he planned to do it there. Him and I went there early "to get a table" ahead of my family. We were standing at the edge of the water watching the sunset and he got on one knee. The most special part was that minutes later my family arrived and we could celebrate together the way he knew I would want to. It was a very special night. About their engagement session: It was a dream! Jenelle actually went to the same college as I did and I knew her through friends. 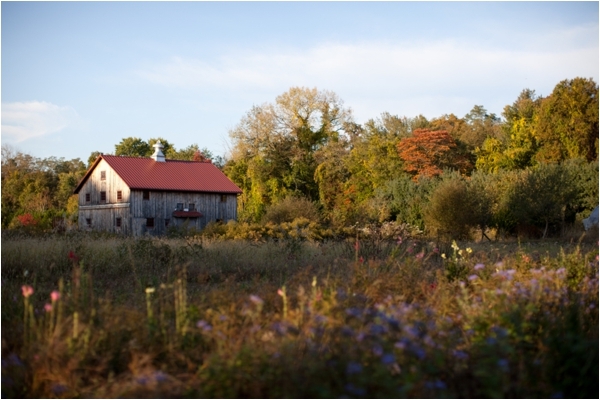 We are having a barn wedding so I really wanted a farmy and rustic feel for our engagement photos. Jenelle was on board from the first minute I spoke with her, she was great! I scoured northern New Jersey (which isn't exactly prime farming location!) for the perfect field to shoot in and just happened to stumble upon this amazing land behind a fruit stand on the side of the road. The adorable little barn on the property just made it that much more perfect. We went early in the morning just as the sun was peaking out and got the most amazing light. The mood was just so warm and everything we wanted.